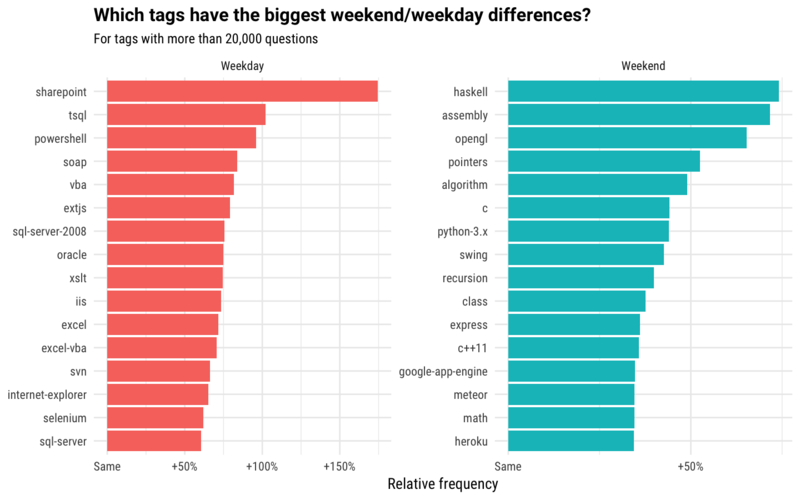 Stack Overflow wanted to see what languages tend to be used on the weekends by developers, so the organization used its public StackLite dataset on Kaggle to explore that question. According to Stack Overflow, it saw low-level technologies were popular on the weekends, like C++, C, pointers and assembly languages, and it saw tags like “math,” “algorithms,” “recursion” and others. Also in its analysis, Stack Overflow saw Heroku and Meteor were often used for prototyping, which could suggest they are being used for hobbyist or weekend projects. Weekday technologies featured tags related to Excel, SQL, VBA and T-SQL. The full analysis can be found on Stack Overflow’s blog. The future of 3D graphics on the Web was addressed by Apple’s WebKit team. It has proposed a new Community Group at the W3C to discuss that future and how the team can develop a standard API that exposes modern GPU features. To kick off this discussion, the team shared an API proposal and prototype for the WebKit Open Source project. The proposal anticipated how next-generation graphics APIs would work, and the WebKit team will start “landing code” in WebKit soon so developers can try out the prototype themselves. More information on the initial API proposal can be found here. BlackBerry is giving developers a secure way to add messaging, voice and video capabilities into their applications and services. The company just announced the BBM Enterprise SDK. The new SDK includes secure messaging capabilities, voice and video communications, file sharing and collaboration features, real-time notifications, and enterprise-grade security. Microsoft has added new capabilities to its cognitive services. The company announced the public preview of its custom speech service, previously known as the Custom Recognition Intelligent Service. The new service allows developers to customize the company’s speech-to-text engine to reflect the data and information on their apps. 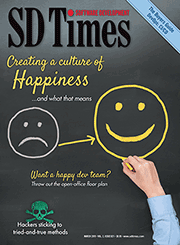 “If your application contains particular vocabulary items, such as product names or jargon that rarely occur in typical speech, it is likely that you can obtain improved performance by customizing the language model,” the company wrote in a blog post. CoreOS has announced it is moving from fleet to Kubernetes. According to the company, its fleet cluster scheduling software will be removed from Container Linux this time next year. Until then, it will remain in maintenance mode to receive security and bugfixes.